100 OF THE BEST STOCKING STUFFERS FOR MEN | muted. Prices range from $5 to $2200 to fit any budget. So if you’re looking an inexpensive stocking stuffer or something for the guy who has everything, we’ve got it. Take a look you might even find something to stuff your own Christmas stocking. 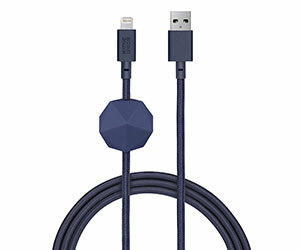 The Native Union Night Cable is an extra strong lightning cable built for extended durability. The cable features an O-Flex strain relief at the connector joint which provides flexibility to absorb 2x’s more stress than standard stress relievers. The Ricoh Theta allows you to capture amazing 360-degree images with a press of a button. Just line up your image and shoot. When you’re all done send the image to your smartphone and share them on your favorite social network. The Zepp Labs Golf Swing Analyzer evaluates your swing from any angle and provides instant actionable feedback. It measures the quality, speed, and swing plane of each swing and lets you know how close you are to reaching your personal swing goals. 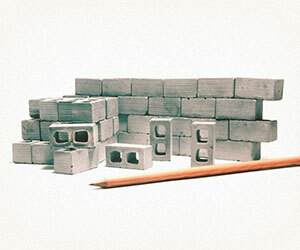 The Miniature Cinder Blocks by Minimaterials lets you let your inner contractor out. The set features 50 flat face cinder blocks that let you build almost anything you can think of. the set is a perfect gift for a corporate guy or designer. Welcome to the Universe is a guided tour of the cosmos by three of today’s leading astrophysicists. 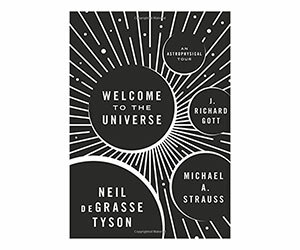 The book was inspired by the enormously popular introductory astronomy course created by Neil deGrasse Tyson, Michael A. Strauss, and J. Richard for Princeton University. 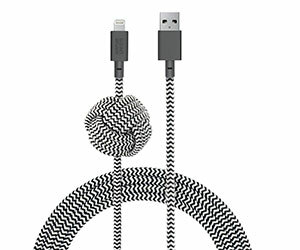 The Native Union Anchor Lightning Cable is 6.5 feet long and features an ultra-strong reinforced structure for unparalleled strength and durability. A special O-Flex strain relief design at the connector joint absorbs 2x’s more stress and has 17,000+ bend lifespan more than 6x’s stronger than standard cables. The Borough Furnace Bottle Opener is the perfect gift for your favorite mixologist. 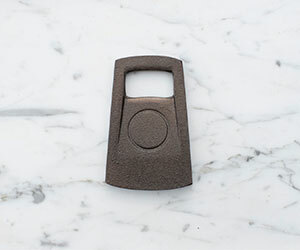 This Bottle Opener is Hand cast from 100% recycled iron and seasoned with organic flax seed oil. The bottle opener measures 3 1/2″x 2 1/8″ and weighs 7 ounces. The Audioengine D3 is a plug-and-play USB thumb drive that is also a digital to analog converter. It’s meant to be used for portable hi-fi listening. No drivers to make it work. The unit is built within a metal injection molded aluminum case. Whether your buying a gift for your favorite outdoorsman or a DIYer, the Sven Saw Original 21″ Folding Saw is a gift they’re sure to appreciate. 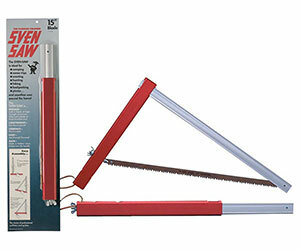 The lightweight saw is easy to use and when not in use the blade folds into the frame taking up almost no space. 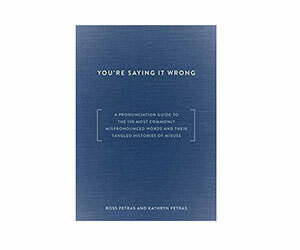 You’r Saying It Wrong is a Pronunciation Guide to the 150 Most Commonly Mispronounced Words and Their Tangled Histories of Misuse. The books is perfect for word nerds and grammar geeks. The Medicom Bearbrick 400 Ironman is a beautiful interpretation of Marvel Comics Iron Man character. This particular model was introduced with Iron Man 3. The predominately gold design is accented with red as well as Medicom’s unmistakable bear features. Never fumble for your keys again. 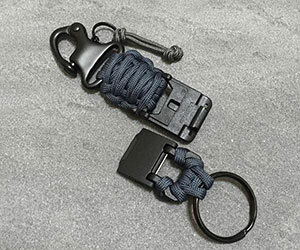 The PMK – Magnetic Keychain & Badgeholder provides the ultimate convenience and is built to last. It is handwoven from Type III 550 paracord in San Francisco, California. Additional features include a magnetic clasp and a heavy duty, black-oxide stainless steel snap shackle. 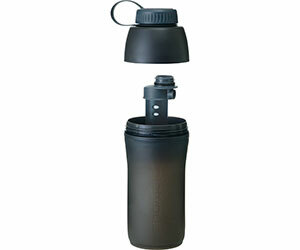 The Platypus Meta Bottle + Microfiler is the perfect gift for any outdoorsman. The Platypus contains a filter that removes 99% of all bacteria and protozoa including Giardia, Cryptosporidium, E. Coli, Salmonella and Cholera. Just scoop up some water, close the lid and you are good to go. This watch has a high price tag, but it’s worth every penny. The unique design, brushed stainless steel material, dial, bezel, crystal, and the rest of the materials combine to produce a truly elegant-looking watch. It has water resistance up to 500M. It’s a design that you’ll love – and it’s austere, classic, traditional, and yet somehow modern. The Incase Portable Power 5400 means you never have to search for an accessible power outlet to charge your iPod Touch, iPad, or iPhone when you’re out and about. You can charge it before you head out, and then take it with you to charge up your iOS device whenever you want, wherever you are. The iPad Mini Cypress Sleeve from Herschel Supply Co. comes in four different colors, and it’s under $30. It has a secure elastic band, and a soft fleece material on the inside. It will keep your iPad Mini safe and protected while keeping a slim silhouette. Japan quality key chains come in all sorts of shapes and unique looks to satisfy even the strangest of tastes. Getting keychains like these should be a first priority for you if you’re aiming to express your unique style and be reminded of Japanese culture every time you get in your car. The W&W watch roll is great for every watch collector who wants a way to keep and carry their favorite watches, whether they’re traveling or they’re at home. 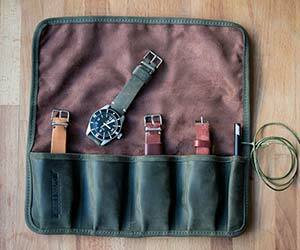 It can fit up to four watch, and it comes in a beautiful Olive green canvas. The inner lining of the roll is ultrasuede, creating a perfect surface for resting your watch while you change its strap, or for simply cleaning the crystal. The Svord Peasant Knife is based on a design used by peasants in Bavaria and Bohemia 400 years ago. It has brown handles made out of wood, and it is almost seven inches when it’s closed. If you want a traditional and rustic-looking knife for home display or personal protection, this is your knife. The UnionMade x Baxter of California Bar is really big, and it comes in a battleship grey color. It has notes of black pepper and mandarin lime on top of a woody base. There are even citrus and amber accents, and a pinch of green floral violet in there as well. Plus, it is even vitamin-enriched to give you a little extra enrichment.